What a difference a year makes. 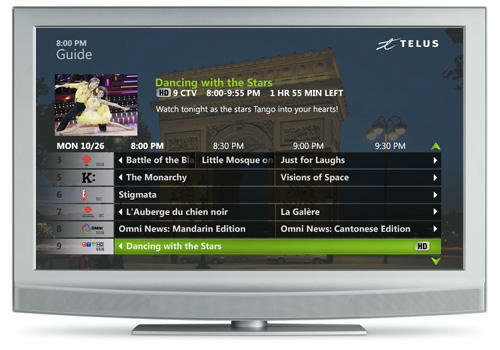 Last year at this time Telus TV had approximately 137,000 subscribers. After an equipment and infrastructure upgrade followed by an aggressive pricing and promotion campaign Telus TV became Optik TV in the spring of 2010. in it’s year end report, Telus boasted and increase of 85% and a total subscriber base of more than 314,000 in western Canada. Shaw cable can’t be liking those numbers since the majority of conversions came from previous cable subscribers as well as Bell and Shaw satellite subscribers. Since it’s roll out Telus Optik TV has upgraded its’ software and operating system plus added new channels and features such as PVR Anywhere and remote programming via iPhone App. 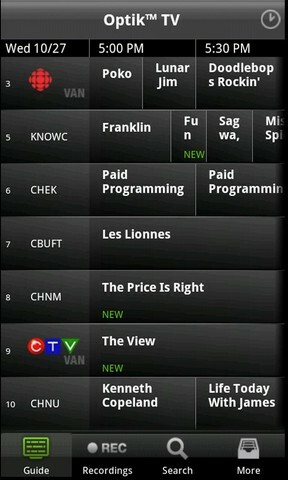 It looks like the battle between Telus and Shaw is about to heat up again as the spring season approaches. We’ve notice Telus ramping up their Television advertising once again and Shaw’s fall promotional pricing is due to expire for most Shaw customers next month. We’re in the process of conducting a detailed review of Telus Optik TV and will bring it to you next month. ION Security and DJ’s Sound City are a full systems integrators with more than 2o years experience, serving Edmonton and surrounding communities within 150kms. This entry was posted in Uncategorized and tagged home theatre edmonton, is telus better than shaw, optik tv, shaw vs telus, telus optik tv app, telus pvr anywhere, telus tv, telus tv app, telus tv vs shaw, tv installation edmonton, which is better shaw or telus. Bookmark the permalink.